Well I was noticing that my size 12 clothes were getting a bit snug and that my other half was not fitting into his jeans so I have put us on the slimming world diet. It’s great as you know what you can have which is an abundance of food without weighing and messing about. We were allowed a cooked breakfast on Sunday which was delicious but it was cooked in fry light. I made KFC style chicken made from quorn fillet strips and blended the coating with herbs and spices that being chilli, cumin, cayenne, oregano, Paprika and mixed it with smash!!! 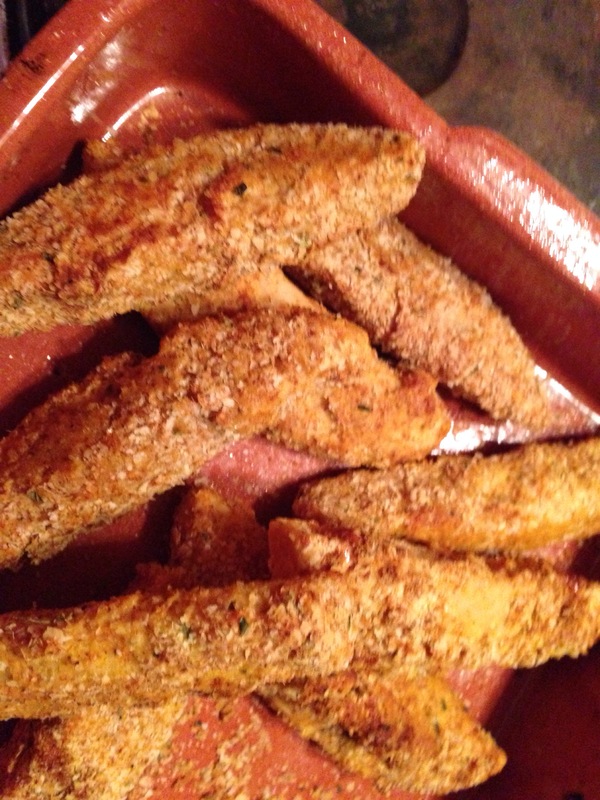 Coated the quorn fillets in beaten egg and then coated in the mixture! I served it with slimming world chips and sweetcorn! Totally vegetarian fat free and tasty!